It’s a puzzlement | Name-Brand Ketchup. He’s a treasonous, disloyal, philandering, irresponsible, uncouth, racist, uncaring, egocentric, narcissistic sociopath with a stool specimen where his brain should be. What part of that reminds you of Jesus? Well, the World Series has begun. The traditional Fall Classic, where the best teams from the American and National Leagues vie for ultimate glory and supremacy under autumnal skies and crisp fall leaves. The oldies radio stations have started playing Christmas songs. 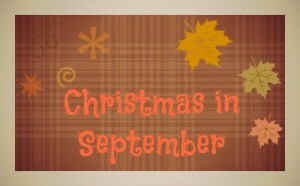 It’s the first week of September. The air is crisp, the sun’s beams are lengthening, and the wind is warm and pleasant. Labor Day is over, the kids are back in school, football season hasn’t officially kicked off yet, and there’s still a couple of weeks until fall begins. Which means, naturally, that Walmart is putting out its Christmas merchandise. It’s in east central Minnesota, on state highway 95, about halfway between Cambridge and Princeton. By reading the sign, you’re defeating its intended purpose. The indignities of losing a presidential race don’t stop on election night. Since November 6th, Mitt Romney has seen his Facebook followers dwindle and his merchandise land in the discount bin. Now, a professional wrestler with a Romney/Ryan logo facial tattoo is planning to remove it, calling Romney’s post-campaign performance “pretty shameful.” Eric Hartsburg told Politico the final straw came when the former GOP presidential candidate attributed his loss to President Barack Obama’s “gifts” to minorities. 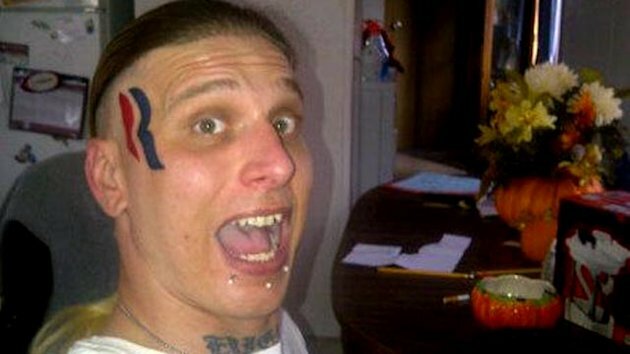 Hartsburg, who said he hoped the 5-by-2-inch tattoo would make politics more fun, had initially resigned himself to keeping the mark. “I’m the guy who has egg all over his face, but instead of egg, it’s a big Romney/Ryan tattoo. 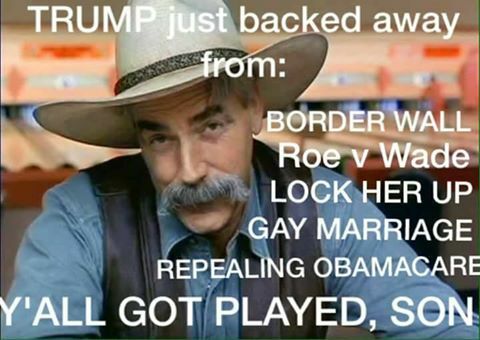 It’s there for life,” he told Politico after the election, saying he was a man of his word. But the 30-year-old is now planning to fly to Los Angeles to have the tattoo removed, a year-long process. He hasn’t ruled out getting another tattoo, maybe in 2016 when the “R” could do double duty for a potential Marco Rubio candidacy. Or, maybe, he said, he’ll just get a yard sign next time.